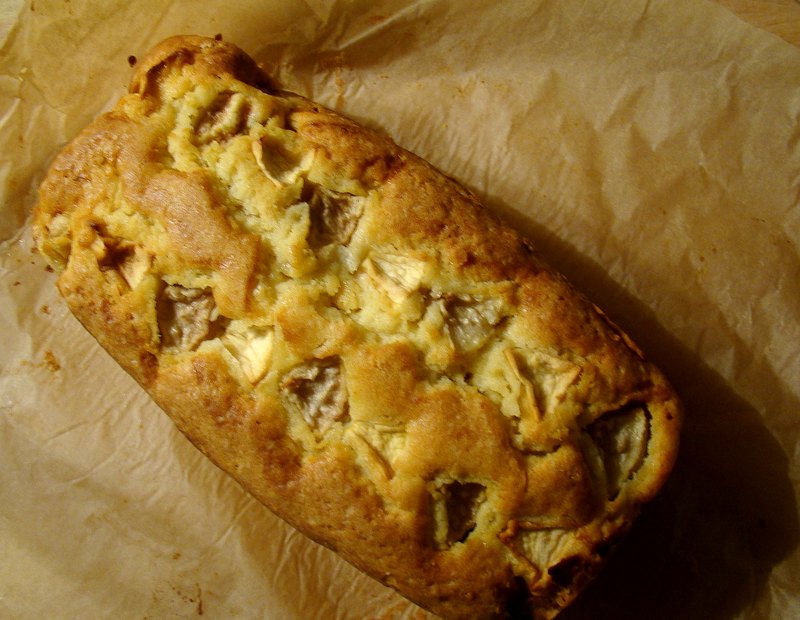 Someone told me it’s quite risky to use apple and pear in the same cake. I wanted to prove him wrong and did it anyway. It turned out great! 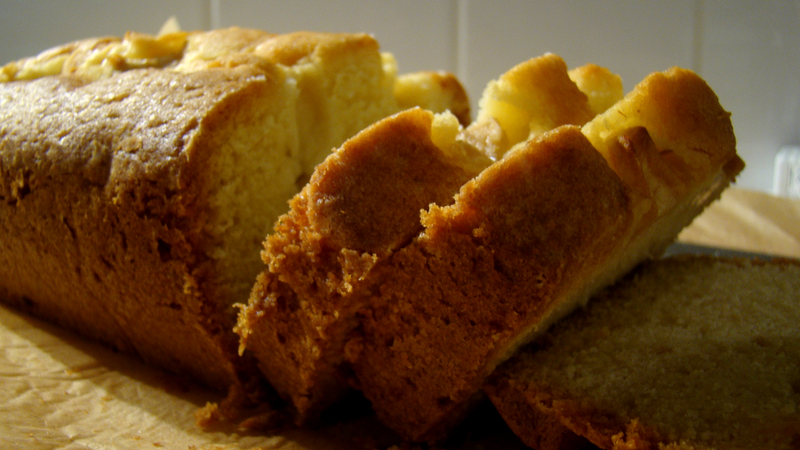 The cake is quite moist and very delicious! The almond powder I put in it gives it a rich texture. Mix together the sugar and the butter. Mix in the eggs. Sift the flour and the almond powder. Add them to the batter and mix it well together. Put baking paper in the baking tin. Put the batter in it. Peel the apple and the pear. Cut them in small cubes. Put some in the batter and some on top of the cake. Bake the cake for 15 minutes at 180°C. 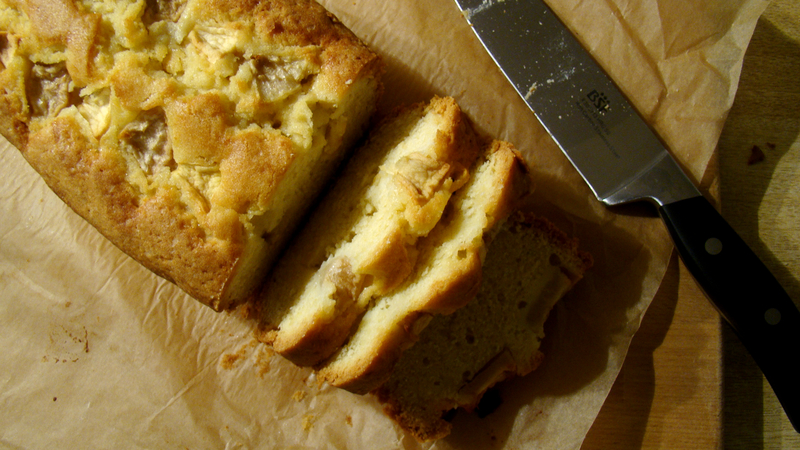 After the 15 minutes, bake the cake for 40 minutes at 160°C. Check the cake with a toothpick. If it comes out clean, it’s done! If it isn’t, bake the cake for 5 more minutes. You can find where I party here. Your cake looks so delicious and moist! Well done. I think you cake looks delicious, So moist. You should be proud, it’s your own original recipe. Congratulations. this cake looks divine! so moist and fruity!! 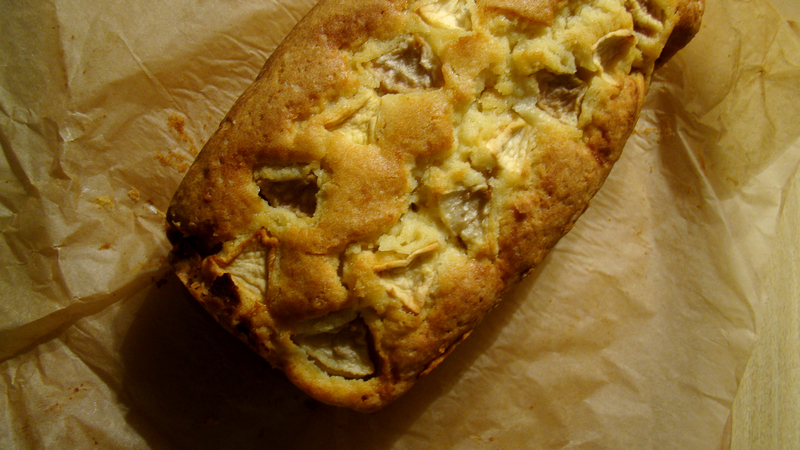 apple and pear are two of my favorite fruits, never thought to put them in a cake together…pinning! !